The village of Limestone, New York was incorporated in the 1870s. In 2008, 187 village residents signed a petition calling for the village’s dissolution. It was predicted that as a result of dissolution, both village and town residents would see their taxes decrease, by four and 46 percent respectively. Additionally, the town would receive $750,000 in state aid. The village’s incorporation was dissolved following the successful passage of a referendum on October 13, 2009; the dissolution took effect January 1, 2011. Of the village’s 229 registered voters, 97 voted, 71 of them in favor of dissolution. Why Choose a Limestone NY Traffic Lawyer? As a Limestone NY Traffic Lawyer, we have the local court knowledge needed to give your case an edge. 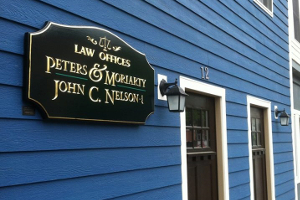 In addition, our small firm allows us to give your case personal attention. Working with the John C. Nelson Law Firm will take the stress of getting a ticket away from you. We are an experienced law firm that focuses on traffic defense. Representing yourself can often lead to missed court dates, lost paperwork and hours wasted looking for evidence and preparing for a court appearance. Find out why it’s best to hire a local attorney here. We help people throughout New York state and are based in Ellicottville, NY. We serve the Cattaraugus County the Southern Erie County area, including Allegany County and all other cities and counties in New York. If you need to fight your charges professionally, we are available 7 days a week to help.